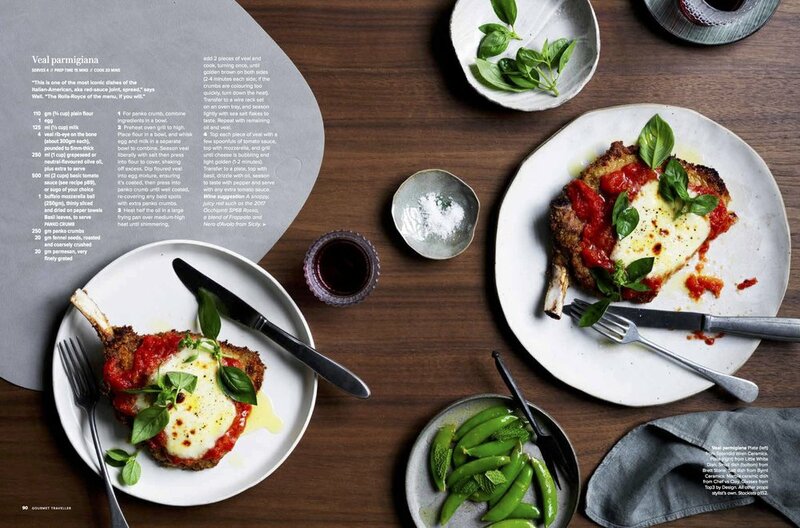 This hearty looking spread in the April 2019 issue of Gourmet Traveller features two dinner plates and a salt dish made by me (top, centre). I can already tell that this is going to be the winter of the cauliflower for me! 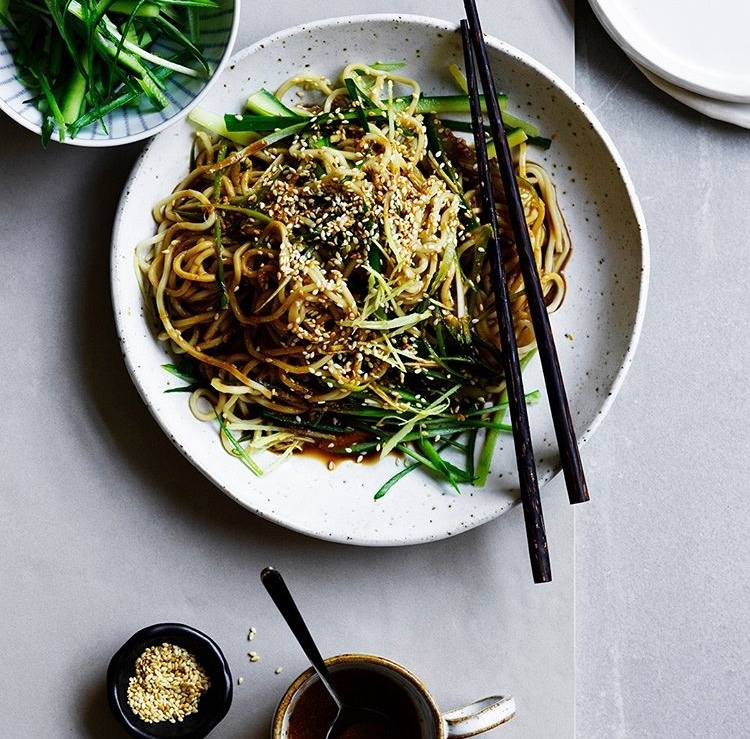 This stunning photo by Alice Wesley Smith and Amanda Chebatte shot at the Fish Butchery in Sydney featuring ceramics by me appeared in the Conde Nast Traveller GOLD LIST 2019 issue. How gorgeous is it? I'll be giving an Introduction to Hand Building Ceramics Workshop at the Saltbush Collective at the North Head Studio Artists Precinct in Manly, Tuesday 19 March, 6.30-8.30pm. Join me learn how make pinch pots like these tumblers. Click here for more details and to register. 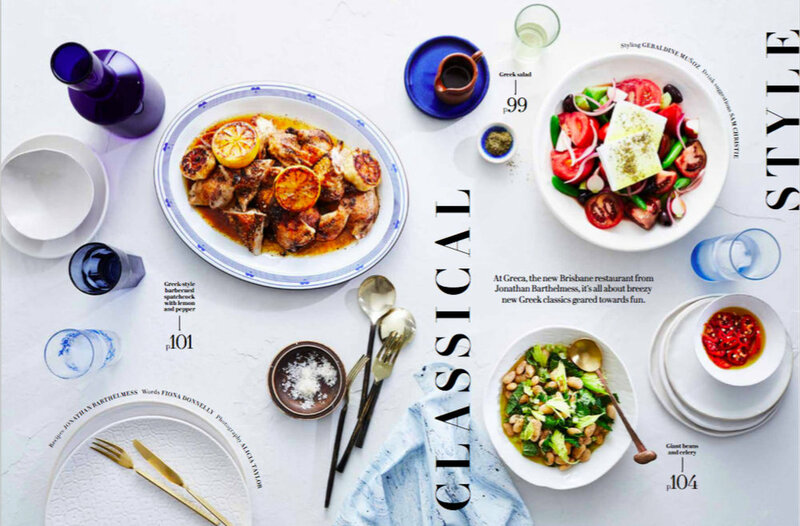 Such a treat to spot a stack of white on white Splendid Wren plates on the contents page of the Gourmet Traveller March issue. And that’s a white on white dinner plate by me on the left. How good does that parmagiana look?! What a way to kick off the new year, with some of my work featured in this delicious looking feature on Greca, a new Brisbane restaurant. The white bowl and side plate far left are by me and the three side plates under the chilli far right. While I will always love speckles, sometimes white on white is just right! Click here for a closer look. I’ll be sharing a stall at the Carriageworks Christmas Market Saturday 23 December with the lovely Kimberly from The Potter x The Clay. Come see us and get all your last minute shopping sorted while you pick up the most gorgeous produce for your Christmas feast. I’m super excited to have my work featured in the November issue of Inside Out Magazine. The NOEL 2018 White dinner plate, Emu egg blue condiment dish and the speckled teaspoon were all made by me. See the how wonderful story with Rachel Castle, Megan Morton and Rachel Burke here. Our Meet the Maker Workshops at Commune Bondi in 2018 were super fun and all sold out within days of being announced. Follow me on instagram here or Commune Bondi here so you can be the first to hear when we announce new dates for 2019. Isn’t this shot just gorgeous?! So pleased that one of my teaspoons made it into this stunning scene in Country Style magazine styled by Hannah Brady. I’ll be at the Etsy Made Local Market November 24 in Centennial Park. Save the date, I’d love to see you there! One of my speckled Abundance Bowls and two white plates made it int.o this delicious feature on chef Tony Tan’s recipes in the October issue of Gourmet Traveller Magazine. Click here to see more. 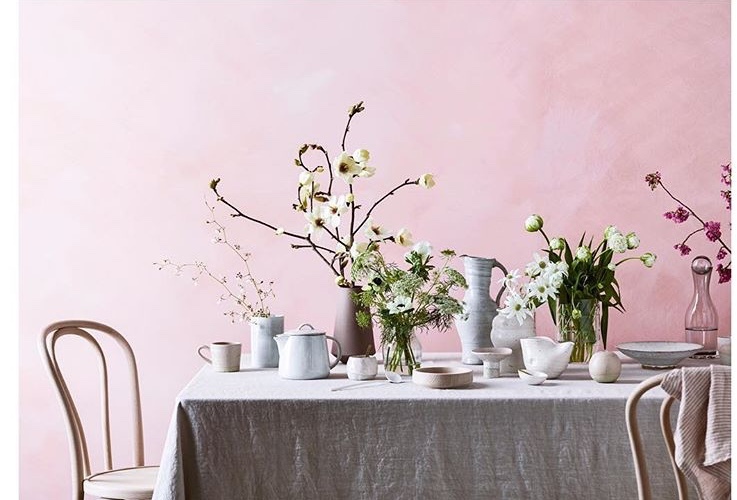 The September issue of Country Style magazine featured this stunning Spring shoot which included one of my blush pink pinch pots and pedestal dishes. Click here to see the other beautiful shots. 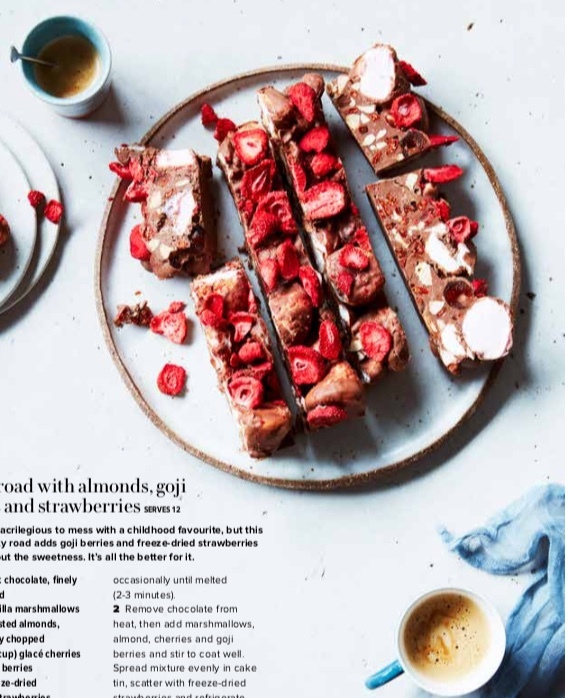 I'm super excited to have my work featured in the September issue of the fabulous Gourmet Traveller magazine. Here is one of my plates with this divine looking Rocky Road. And click here to see the other shot of one of my little salt dishes. The September issue of Real Living magazine featured Gritty Pretty Founder Elanor Pendleton sharing her favourite shopping tips. One of her favourite places to shop is Commune Bondi where she loves the “rustic ceramics”. I've now been part of two fabulous Meet the Maker workshops at the beautiful Commune Bondi. Both sold out super quickly so follow me @splendidwrenceramics and @commune_bondi on Instagram to be the first to know when the next date is announced. Click here to see some photos from the workshops. I'll be giving an Introduction to Hand Building Ceramics Workshop at the Saltbush Collective at the North Head Studio Artists Precinct in Manly, Sunday 28 October 2-4pm. Join me to for an introduction to making pinch pots like these little planters. Click here for more details and to register. Every weekend in August I had a Pop Up Shop at West Elm Bondi Junction as part of their Local Makers series. Thank you to everyone who came along, it was so wonderful to meet you all and chat about all things ceramic. Be sure you follow me on Instagram for all the latest on Splendid Wren Ceramics - new work, workshop dates and more! Sign up with your email address to receive news, and updates and special offers.